“You are a ‘Buwa’ if you are conscious about the environment, you are a ‘Buwa’ if you support recycling, you are a ‘Buwa’ if you contribute towards waste management, and you are a ‘Buwa’ if you think about the future of our planet. Everyone can be a ‘Buwa’ and Buwa is the narrative of our generation and the true spirit of the human heart,” - Misha of Whirlwind. Spirited is a sensational live fusion electronic project initiated by Misha of the Band Whirlwind back in the ‘golden year’ of 2012 which is partly the result of all the years he spent on sound research after leaving the ‘corporate jungle’ for good to begin his own journey with a vision in mind of creating something unique. Melodies features this super ambitious mega project Spirited and its phenomenal journey that is taking place at this moment. Spirited’s work concentrates on sound healing & research, vibration-based plant growth & research and Meta-tainment concepts to support the next level of human evolution through sound and vibration. “Through its vast progress towards the international healing music industry, Spirited has initiated a few sub-projects to help assist the greater vision of the organization. Spirited is not only a music project but a movement that is moving towards the goal of aiding & entertaining humanity through artistic collaboration & expression. Spirited carries a totally different concept to WHIRLWIND but I’ve got everyone from the band supporting it so you can say it’s a by-product or extension of Whirlwind,” said Misha. The original idea ignited after Misha’s ‘unexpected’ collaboration at ‘Ozora Festival’, one of the biggest summer festivals in Europe. “After experiencing the capacity to collaborate, it was my intention to add what I’ve learned throughout the years, bringing something unique to the live dance music performance culture. After all the years and experience I’ve had with Spirited, it has expanded my talent, vision, and perspective which has contributed to my growth in many aspects which I’m now reducing to my other musical projects which also defines its existence,” explained Misha. From its initiation, up until the year 2017, the project has released five Albums, and ‘Buwa ’is the 6th Global release. The album launch is set for Feb 16, 2019 and the gang are celebrating the release with a launch party which will take place at the venue ‘Patio 25’. “BUWA is a musical collage inspired by retro dance & and deep progressive elements focused around influencing good recycling habits. 'Buwa’ is a five track conceptual statement which carries a conscious message induced with binaural beats and frequencies in 432hz. ‘Buwa’ simply translates to the meaning ‘Dude’ and in our vibration a person who is conscious about the environment that influences good recycling habits. You are a ‘Buwa’ if you are conscious about the environment, you are a ‘Buwa’ if you support recycling, you are a ‘Buwa’ if you contribute towards waste management, and you are a ‘Buwa’ if you think about the future of our planet. Everyone can be a ‘Buwa’ and ‘Buwa’ is the narrative of our generation and the true spirit of the human heart,” explained Misha. At the moment Spirited consists of two main producers – Misha and ‘Munion’, who is the official sound engineer and recording engineer for Whirlwind. ‘Munion’ is also an official signed artist and producer of Spirited Records who contributes his talent to various musical projects locally and internationally. “Spirited also collaborates with a whole heap of talented artists, producers and session instrumental players from around the globe. Depending on our live performance concepts and contracts we expand the live act to fit each show. The idea is about creating awareness about the ever-growing global waste pollution and what we can do as individuals to contribute towards resolving it. We often forget the little things, and if you talk about recycling ‘it’s a deliberate display of caring’, we all care about something and why not the environment?” added Misha. Misha initiated the production process back in early 2017 and was finalized in 2018 adding the final touches with Munion. Misha points out that the project is not new but it might be new to the local industry. “We’ve made little effort promoting Spirited to the local market up until this release. We hope our local audience will be open to organic music of this nature and inspire more likeminded concepts to evolve through. The dream has already become a reality, as we are now more than a musical project that has contributed to the evolvement of so many musicians, producers and session artists around the globe,” stated Misha. Misha also added that they have another release lined for the month of March and April and many more surprises to follow. The album will be out on all major digital distribution platforms. 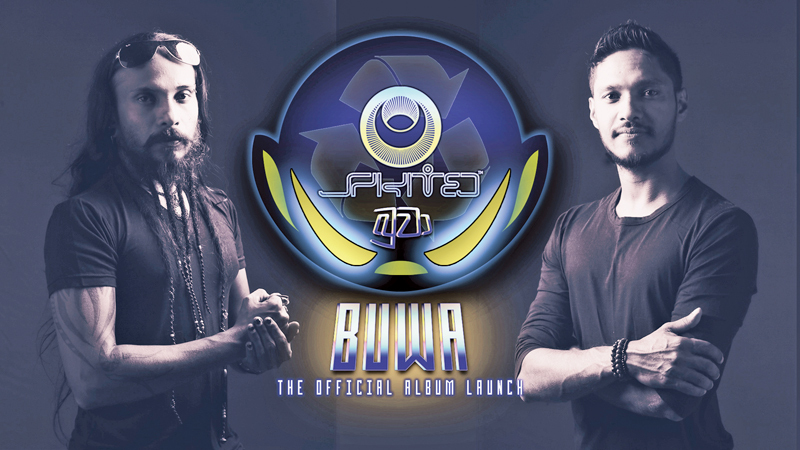 At the launch of 'Buwa' on the Feb 16, at 'Patio 25' every entry ticket will be entitled to a free digital copy of the Album. Spirited will be putting on a live performance of the album featuring Glow Funk and such to keep you entertained throughout the night.